1. Strain the yogurt. Do this by lining a strainer with a thick paper towel and place the strainer within a mixing bowl. Place the yogurt into the strainer and then enclose it by folding the edges of the paper towel down onto the top of the yogurt. Place a weight (equal to about half the weight of the yogurt) on top and set the yogurt aside for about 1 hour. Whey will drain out of the yogurt during that time. 2. 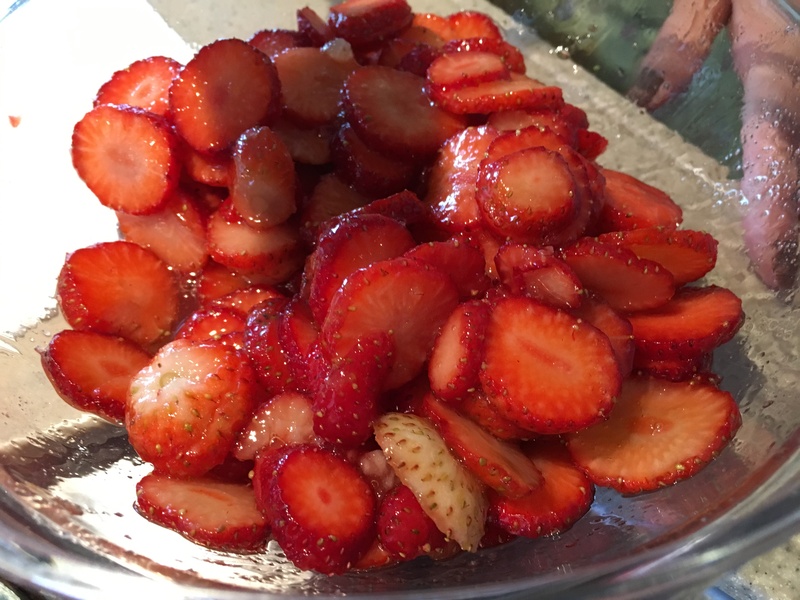 Cut the strawberries crosswise into 5mm-thick slices. Coat them in honey and set them aside for about 1 hour. This will draw water out of the berries. After the berries have sat for about an hour, separate them from the syrup that has resulted and retain both. 3. Whip the cream. Test for the right consistency by lifting the whisk up. 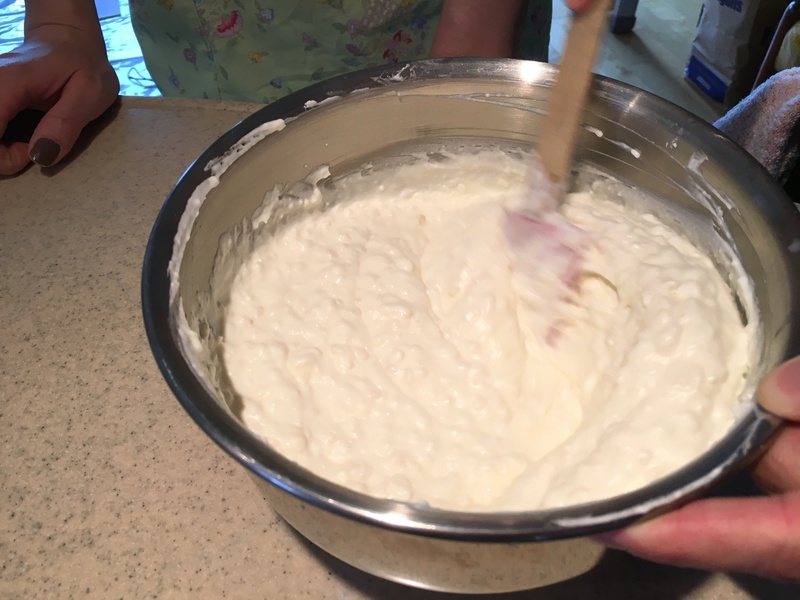 If the cream forms a peak and the tip of the peak lays over as the whisk is pulled away from the cream, you have achieved the right consistency. 4. 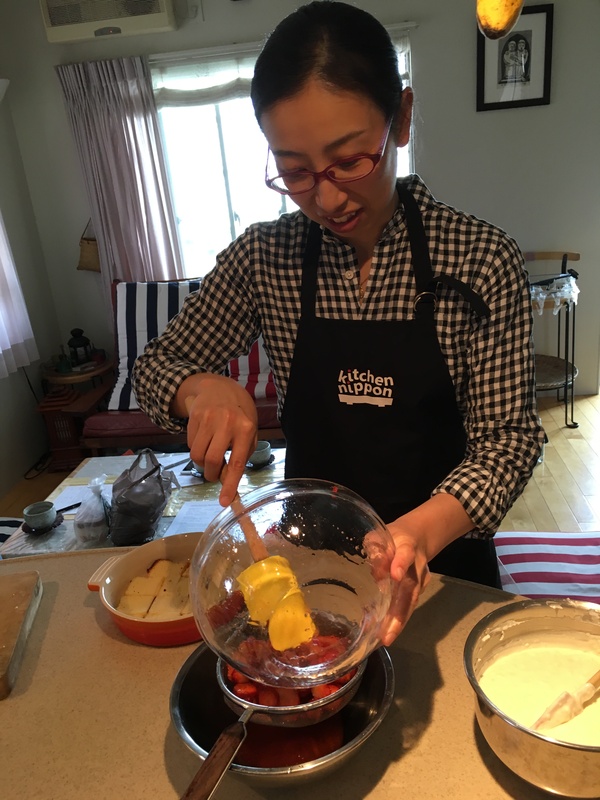 Transfer the strained yogurt to a mixing bowl and add the amazake, cream, and sugar. Mix well, but not too vigorously, with a whisk. 5. 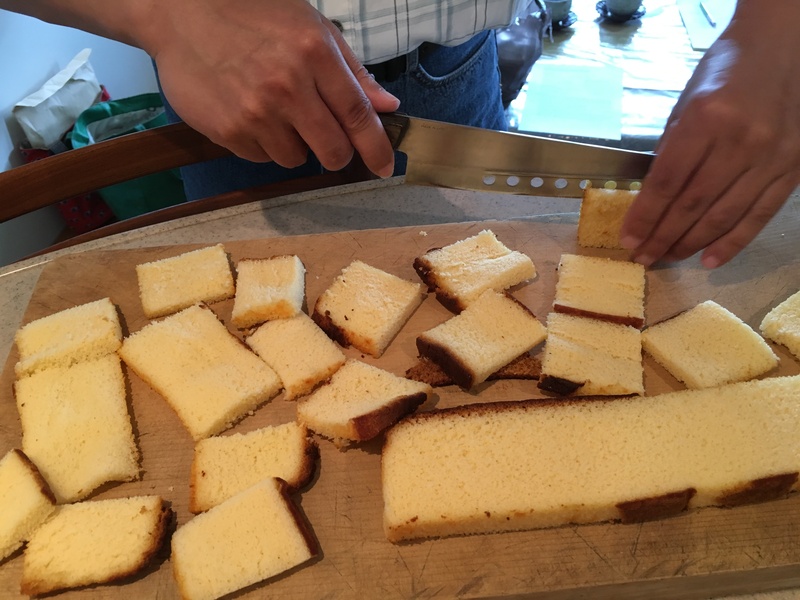 Slice the castella into 1cm thicknesses. 6. Place half of the castella slices in a single layer on a large plate. Place them as close to one another as possible. Brush the strawberry syrup onto the castella layer. 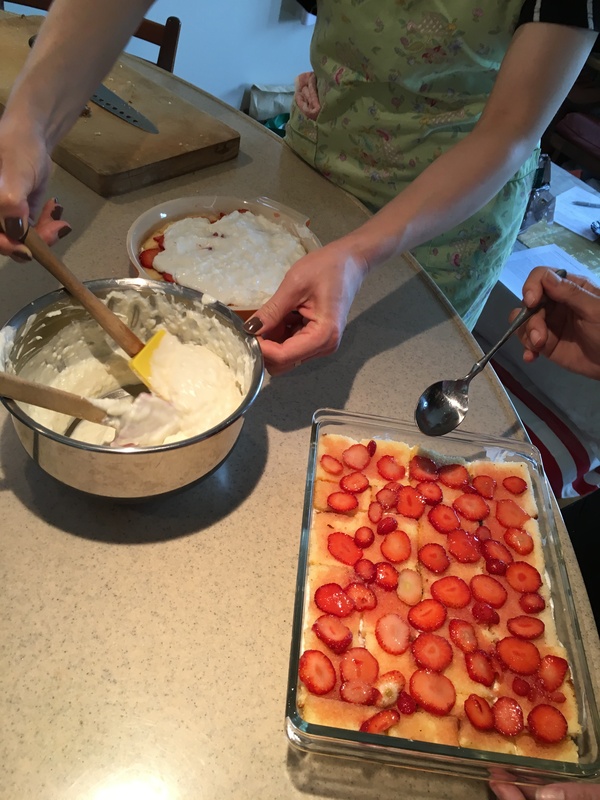 Place half of the strawberry slices in a layer on top of the castella layer. Top this with half of the yogurt mixture. Repeat these steps one more time. 7. Put the plate into a refrigerator for at least 1 hour. Sprinkle with cocoa before serving.